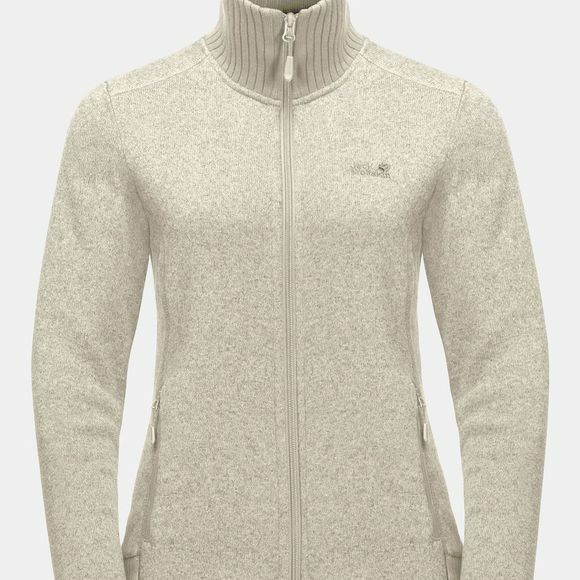 The Womens Scandic Jacket from Jack Wolfskin is the perfect excuse to wear your Scandic Jacket. Whether you wear it for hiking, skiIng or everyday life, this Fleece Jacket is sure to keep you cosy and warm.The exterior of the Nanuk 200 Fleece has a marled-look Knitted pattern. The reverse side is extra soft and gives superb next-to-skIn Comfort. The High collar protects your neck from the Chilly Winter Wind.